Nothing special. Nothing fancy....just Monday. 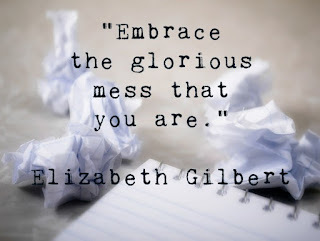 So, Ms. Gilbert, I will/am trying to embrace this glorious mess that I am! My life,..my everyday life is definitely defined as a glorious mess. Glorious that I am beyond blessed. Blessed beyond my understanding or my deserving. I am loved, truly loved. I have a roof over my head, food to eat, plenty of clothes, chores, hobbies, entertainment. I am healthy, my children are healthy, and I have many reasons to be thankful. But, I am also human. I have things I long for. I have goals and dreams. I have frustrations and trouble dealing with what I cannot control. I still have days where I am just...stuck. My "mess" is a daily battle that only God and I can conquer. Life doesn't always go as we plan it. 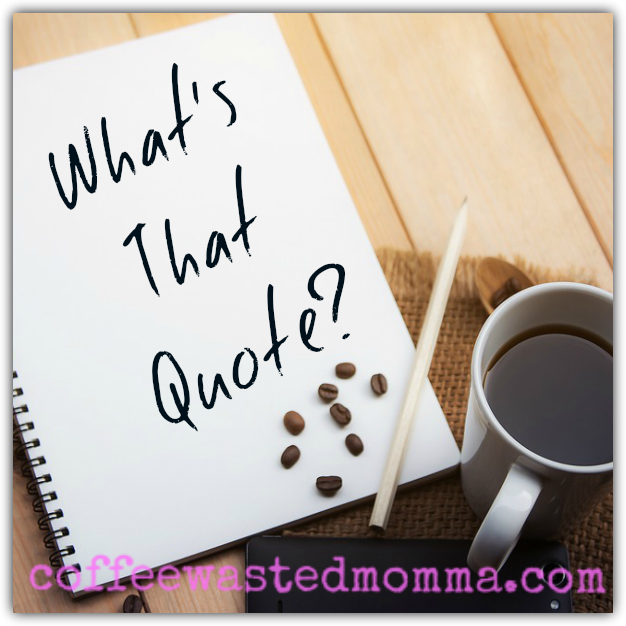 There are things on a daily basis that I have planned or want to accomplish a specific way. Usually that is when the "mess' slips in. I am trying to learn to roll with it. I am trying to remember the blessings in between these messes. I am trying to not let the little set backs pull me too far from my goals. It definitely is not my easiest task, nor a virtue I have come by naturally. What are some of your "messes"? How do you "Embrace the glorious mess that you are"? Labels: blessings, What's that quote?